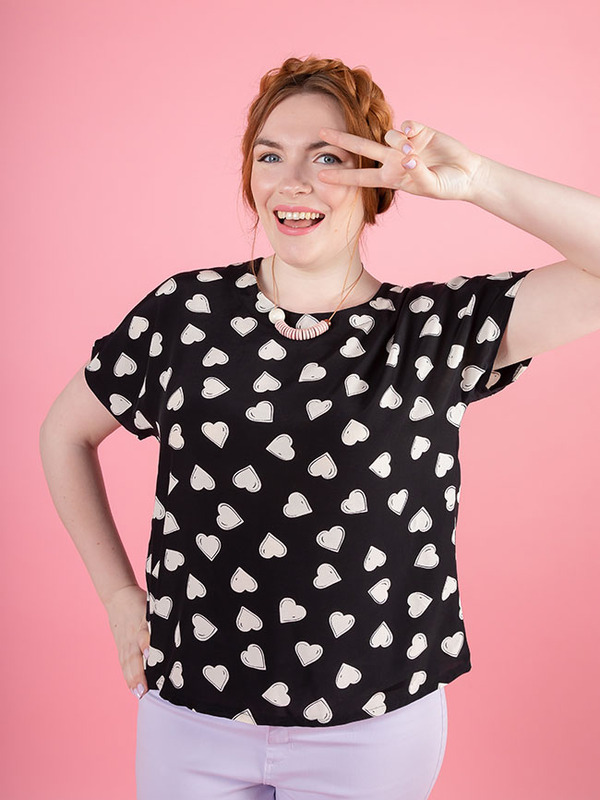 Meet the Seren sewing pattern! 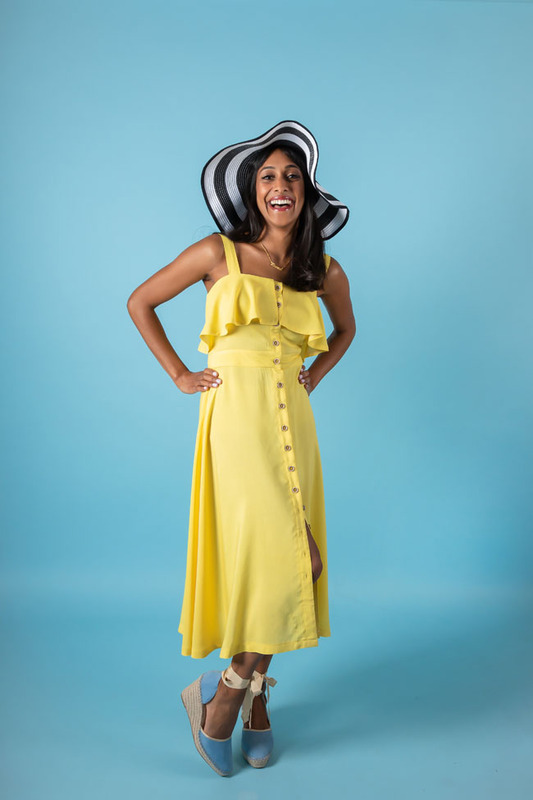 Our office has been so high pitched these past few weeks, we've been so ridiculously excited to share not one but TWO brand new sewing patterns with you! Get the deets on Stevie and read on to find out all about Seren. 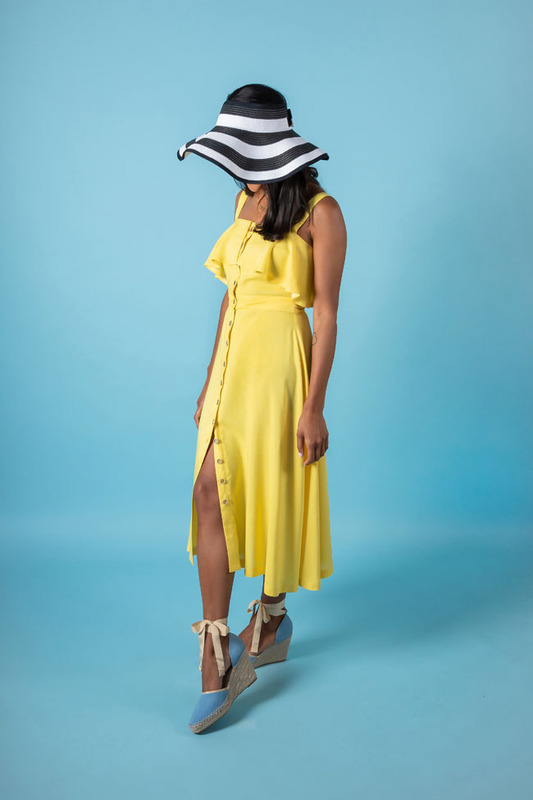 If you're looking for THE dress this summer - you know, the one you're dreaming about wearing as you shimmy under the stars with a sangria in your hand - then you've come to the right place. 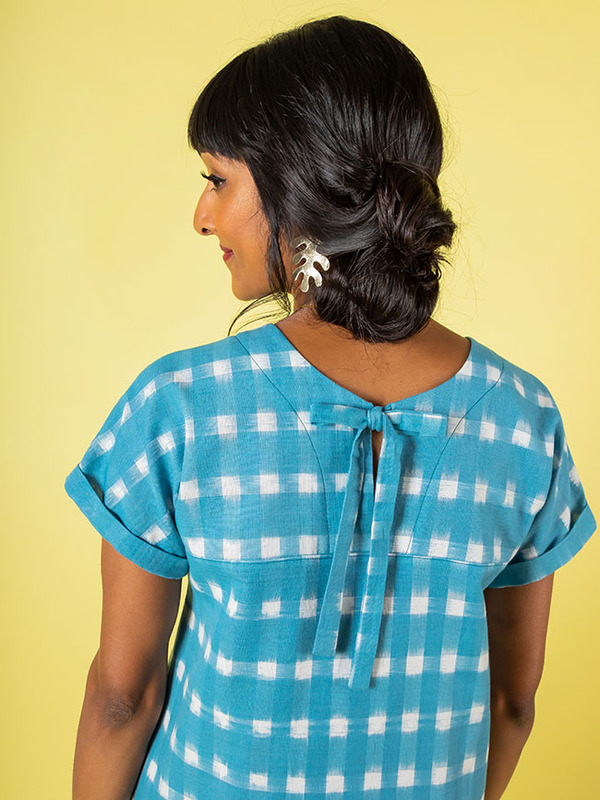 A pattern with multiple variations, make it as a classic button-down or add a contemporary twist with the flirty neckline flounce or pretty waist tie detail. 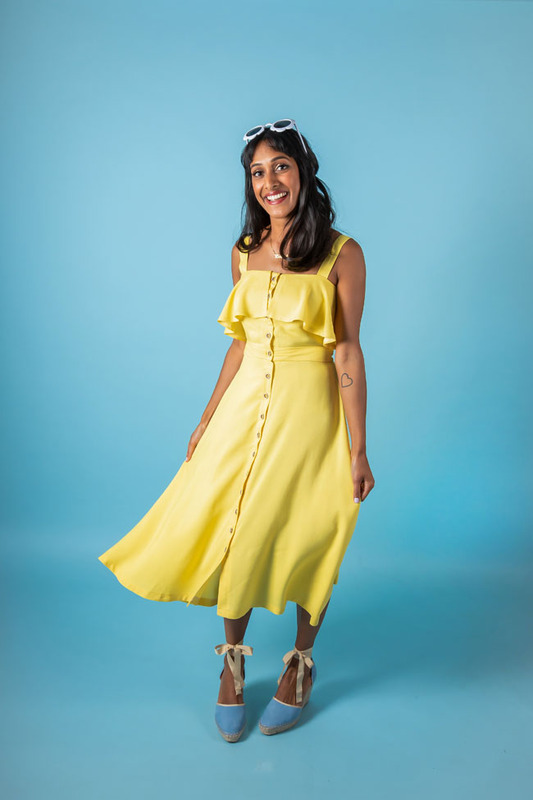 Introducing the Stevie sewing pattern! 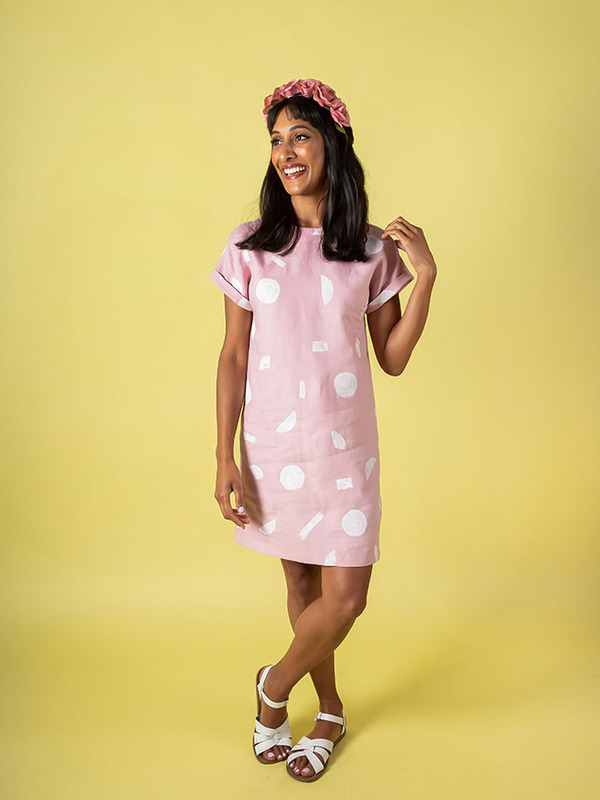 What's better than a new sewing pattern? 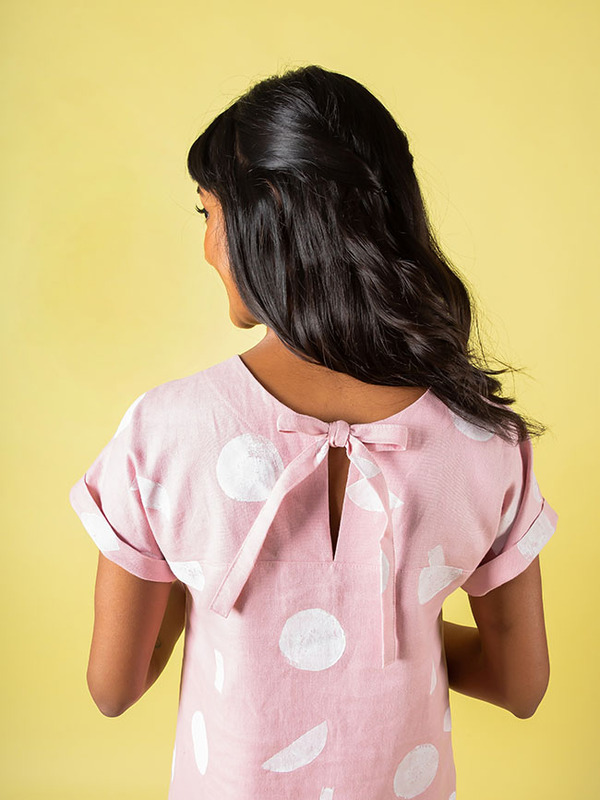 TWO new sewing patterns! That's right, today we're launching two brand spanking new patterns - available in both printed and PDF versions. 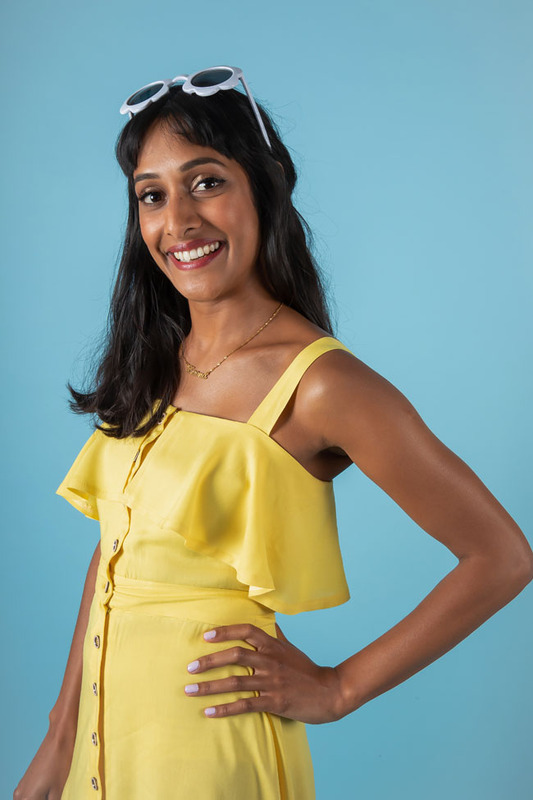 I don't know about you but I love having simple, modern pieces in my wardrobe that I can throw on in the morning and feel effortlessly stylish. 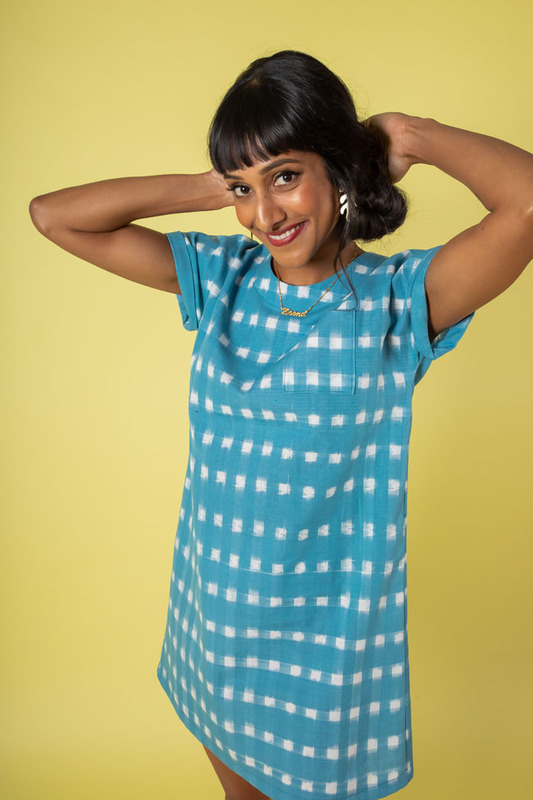 Stevie is a contemporary top and a tunic dress that's as easy to make as it is to wear - it's destined to be one of those patterns you become addicted to! 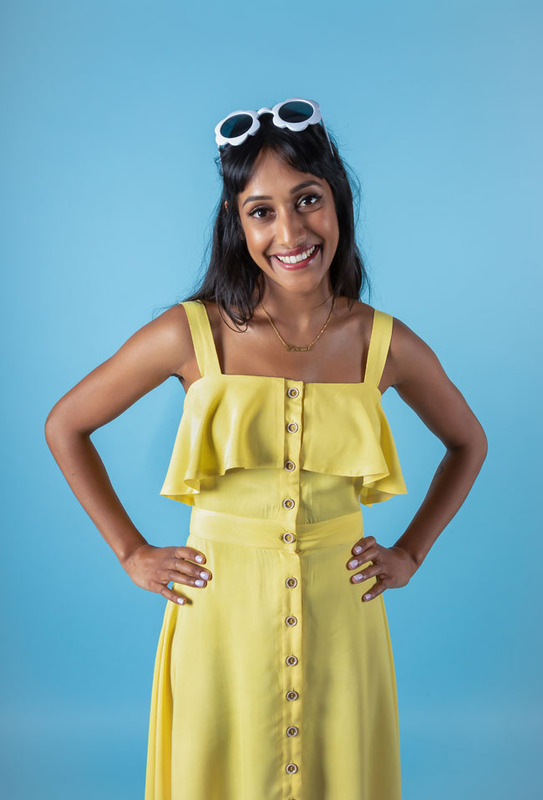 Hi everyone, it’s Louise here to talk about an adorable adaptation you can make to your sewing projects this summer! Here at Tilly HQ we have been so inspired by some of the cute garments you can currently buy which include patches featuring almost anything you could think of. It seems that if you have an obsession – animals, TV shows, food – you can now find a patch to express that love! 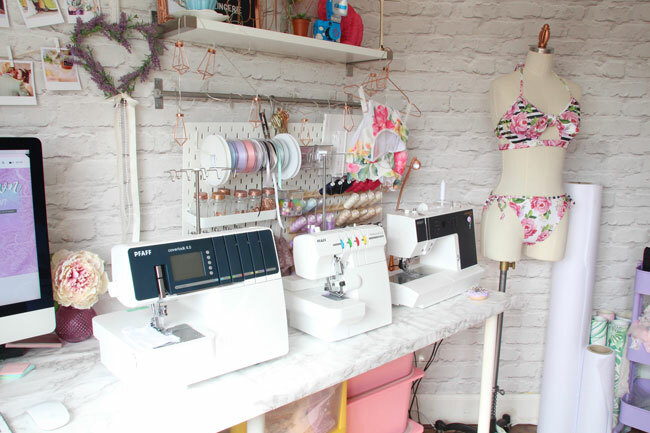 Sewing Space Tours... Evie la Lùve's Pastel Daydream! 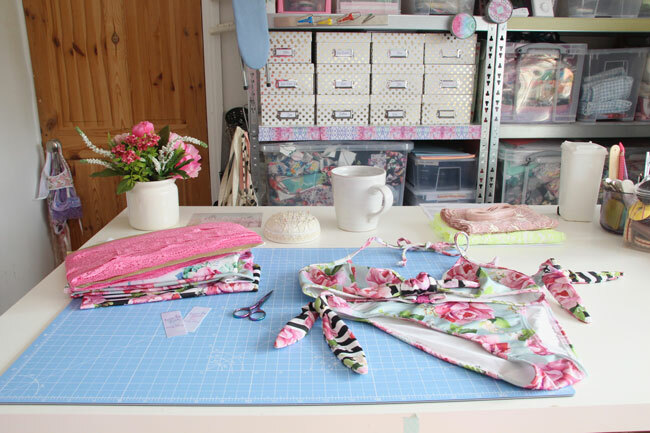 For today's sewing space tour, where we peek behind the closed doors at a crafter's inspiring sewing room, we're in the Derbyshire countryside with Hannah the pastel queen and sewing pattern designer behind Evie La Lùve. My business is made up of so many different elements and this space has to work for everything. I design, draft and digitise multi sized lingerie sewing patterns for PDF download and reconfigure these patterns so they work as printed versions too. This process alone requires a lot of space to assemble pattern envelopes, cut and fold the pattern pieces and assemble instruction sheets. I film YouTube tutorials here also for my channel. Anything from a fabric haul to a tutorial for assembling adjustable bra straps or a full step by step tutorial for one of my sewing patterns. I stock a lot of lingerie sewing supplies here as well as assembling sewing kits for my patterns, which is tricky sometimes with the space that I have! This involves packing a lot of customer orders on a daily basis along with my recently launched made-to-order collections which are all handmade by me in this small space too. As my business has grown, this space has changed and evolved with me to accommodate whatever new venture I've dreamt up. I love the light, airy feel it has so I’ve really tried to maintain that while also making use of every inch of this room, to create some kind of organisation and work flow. Along one wall I have heavy duty shelving which holds most of my fabric stash, printed patterns and kits sold in my Etsy shop. My under table storage (thank you Ikea) holds the laces I stock in my shop and the fabric I use daily for my made to order collections. This all needs to be accessible in a hurry as I like to work fast! My sewing space has a lot of DIYs. I like to customise everything, even if that just means I spray paint it. This includes my lilac trolley and my giant peg board! That was an organisation revolution! I incorporated curtain rail holders with dowels that hold a lot of the elastics I sell, this makes them really easy to measure when I’m packing customer orders. It also stores a lot of the equipment I use when pattern drafting so that I can use and tidy as I go along, without breaking my work flow. I developed my ‘clipboard organisation system’ about a year ago and it changed everything! After spending days searching around my room (mostly on the floor) trying to track down crotch pattern pieces of new designs I was working on, I came up with this system to keep all the pieces together. 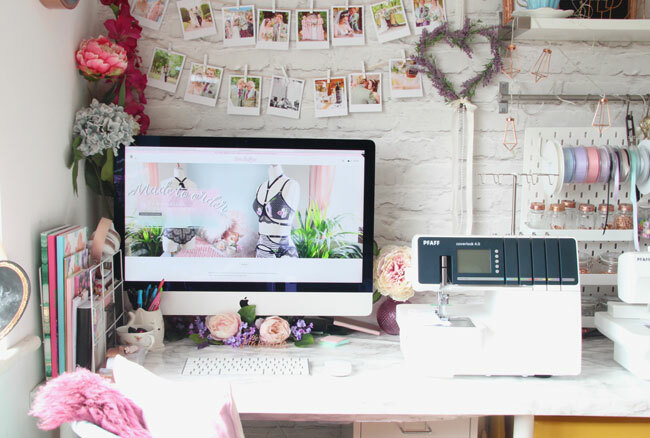 I think my sewing room really became the 3D mood board for my business. 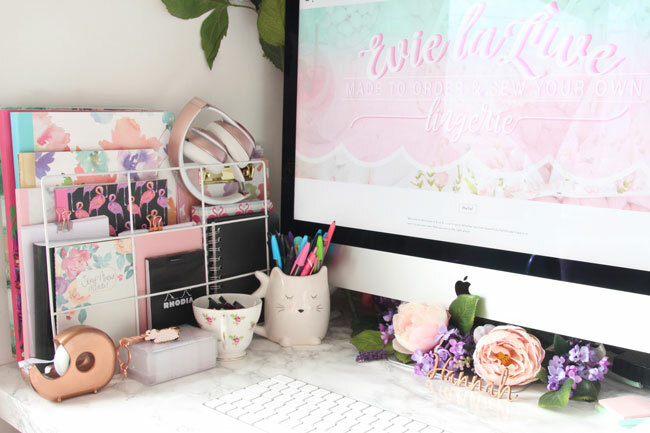 It’s full of all my favourite pastel colours, full of flowers and pretty things that inspire me. I have personal touches everywhere, like my wedding polaroids above my desk and other decorations from our DIY wedding. Working around my husband's work schedule means I am often still in my sewing room into the early hours of the morning, so I have made this space as cosy and comfortable a possible. I have fairy lights, which serve no purpose other than to make me feel good, flowers everywhere and blankets and cushions so I can get comfy and cosy when I’m still sat at my computer at 1am! Working from home means I am often in my PJs well into the afternoon and have many a time answered the door to a delivery person in my dressing gown, silently hoping they realise that I’m simply too busy to get dressed and I’m not just being lazy! I really just created a place where I wanted to be. I feel like my sewing room is what the inside of my head would look like. It’s bright and full of pastel colours and flowers, and loads of pretty things. It’s chaotic most of the time and always has 1001 things going on at once, but I couldn't love it more! 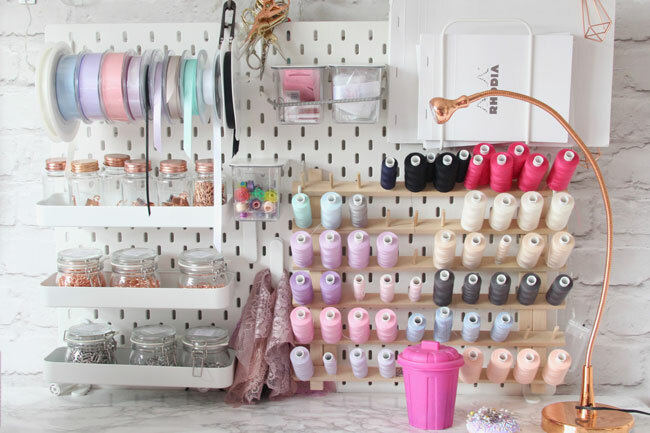 Thank you for showing us around your dreamy sewing space, Hannah! 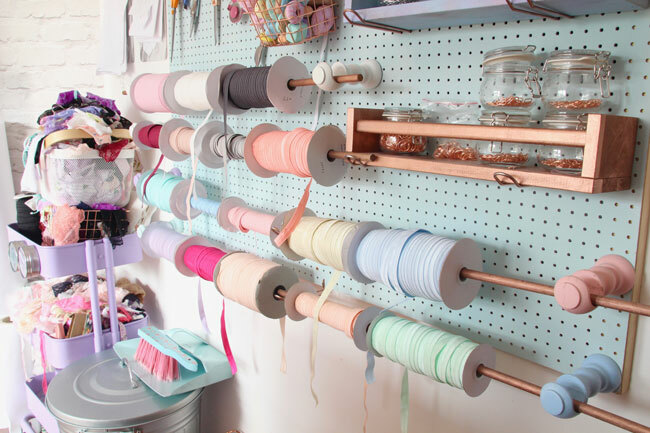 We've loved seeing behind the scenes at Evie La Lùve and we're lusting over all the sewing goodies in your shop. 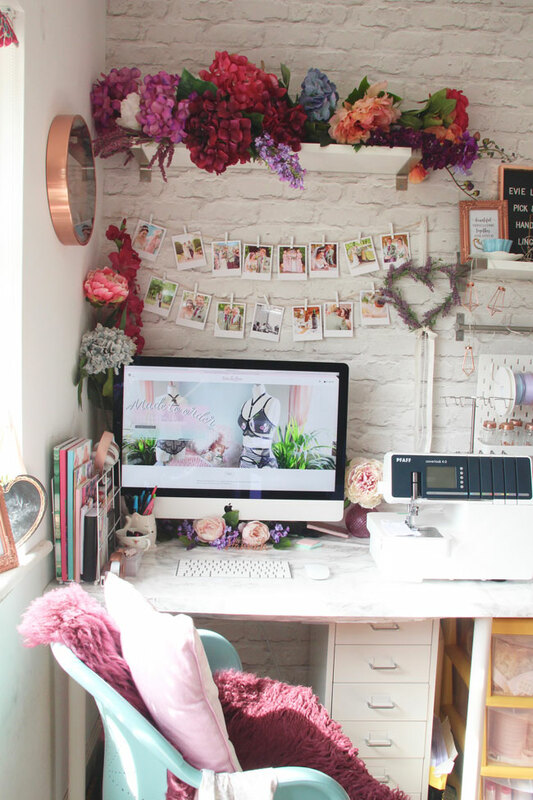 Fancy submitting your lovely sewing space to be considered for a Tour? Read the guidelines here. 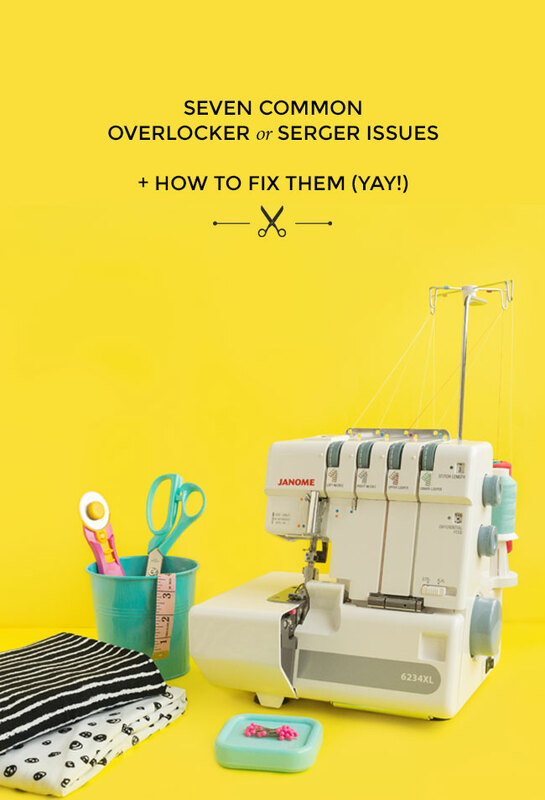 Overlockers (AKA "sergers") are wonderful machines... most of the time! Great for stitching knit fabrics or finishing the seams on woven garments, once you get the hang of them they're super speedy to use. However, they do need adjusting so the settings match the fabric and seam that you're sewing. Whenever you start a new project, take some time to sew a test swatch and adjust the knobs if you need to. This is what you're aiming for - perfectly balanced stitches. 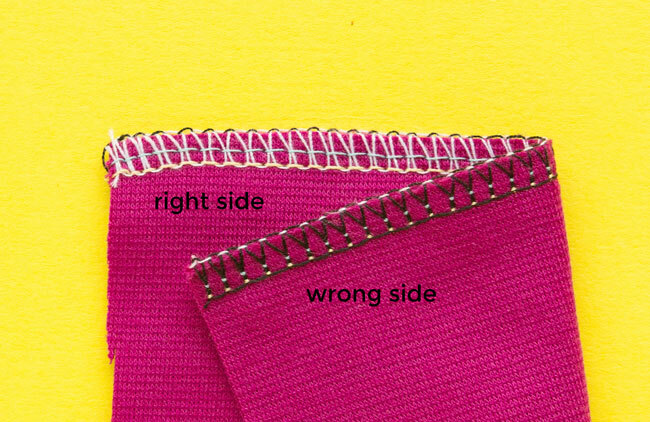 (This picture shows four threads - you may have three instead if you're sewing lightweight fabric or seams that aren't going to come under too much strain.) I've used different coloured thread for each looper and needles so you can easily see how the stitches link together. The loops from the right side are peeping out on the wrong side! 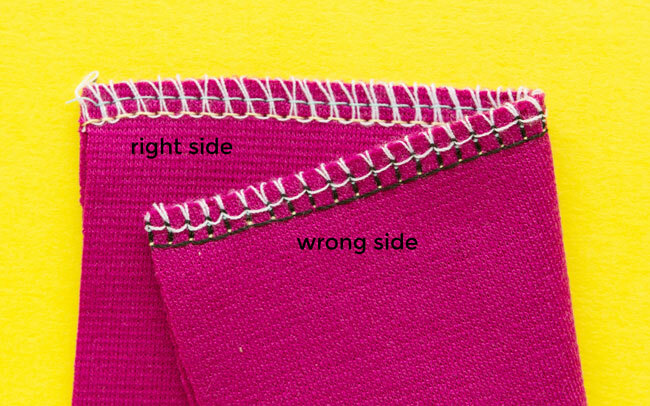 If the upper looper thread loops are visible on the wrong side, they’re either too loose or the lower looper thread is pulling them too tight. So you can either turn the lower looper tension dial down or turn the upper looper tension dial up. Adjust them one at a time, a little at a time, sewing a test swatch each time until the loops are staying on their own side. 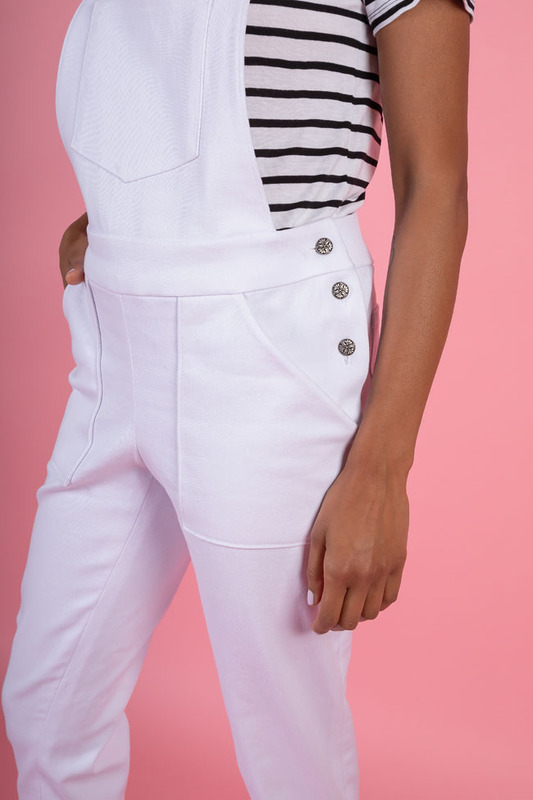 Free Hip Pockets Pattern for the Mila Dungarees! 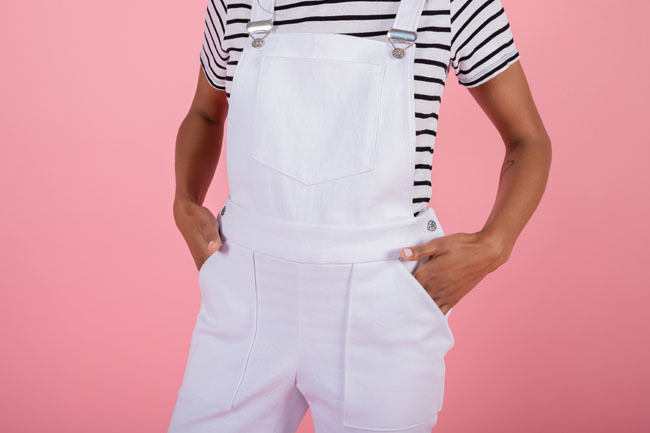 What's better than three pockets on your Mila dungarees? 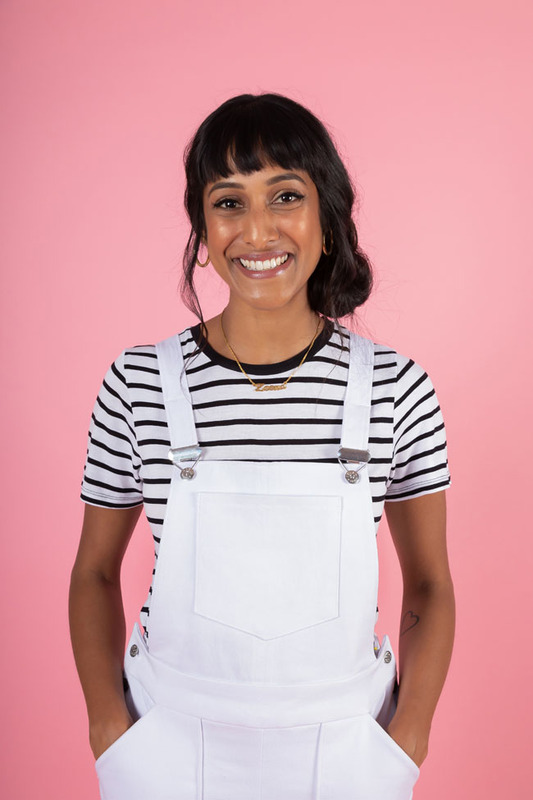 FIVE pockets on your Mila dungarees! If your fabric is 150cm (60in) wide, you’ll need 0.25m (3/8yd) extra for the pockets. If it’s more like 115cm (45in) wide, you’ll need 0.35m (1/2yd) extra fabric.